Once upon a time, Bendigo was known for its gold rush. More gold was found here between 1850 and 1900 than anywhere else in the world. But these days, it’s known for a different kind of gold. Liquid gold. The kind that’s brewed by passionate champions of local and international beers. That’s right, folks, Bendigo is now at the forefront of the craft beer movement that’s taking the country by storm, and it’s drinking scene may be even better than Melbourne’s. Now, now – before you get all riled up, hear us out. Most of Bendigo’s pubs are historic venues where the walls may not be able to talk, but the bartenders will happily spin you a yarn or two. The streets are filled with bakeries, wine bars and cafes, and there’s a thriving art and fashion scene too. There are regular foodie events and craft beer festivals that take place in winter as well as in summer. Heck, there’s even a street-art filled laneway or two. Without a doubt, one of the biggest drawcards in Bendigo right now is its booming craft beer scene. So pack your bags, grab ya mates and head 90 minutes out of Melbourne to discover some uniquely crafted brews that are big on flavour and aroma. The considerate folk at Bendigo Beer have conspired to keep you going through winter with Bendigo On The Hop, a festival that guides you through their stunning craft beer venues. A walkabout craft beer festival that showcases some of the best independent Australian-owned breweries as well as live music and local produce, it’s taking place on Saturday the 26th of August from 11am to 6pm. A moveable feast-meets-festival (we bet Hemingway would have loved craft beer), it’s spread across 10 venues in Bendigo’s CBD, which means attendees get to see a bit of grand Victorian architecture in between tastings. 55 bucks gets you 20 x 85ml taste tokens for all 20 breweries appearing at the festival (that’s just over eight pots of craft beer for those who dislike maths) as well as a souvenir glass from Craftd. 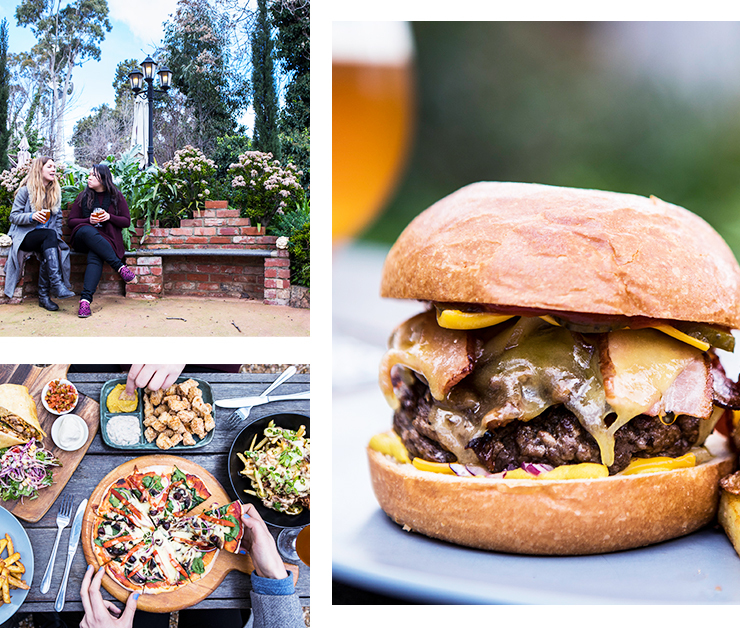 Each of the venues will be serving beer-friendly, hand-sized food to complement the beers on show, and Bendigo Beer have helpfully put together a Survival Guide. Craft beer fanatics will be frothing over the Bendigo On The Hop Opening Party & Brewers Dinner at the multi award-winning Cambrian Hotel. You can either kick back in the bar or beer garden and enjoy tap beers from breweries like Two Birds, Dainton, Bridge Road and local breweries Brookes and Tooborac...or, you can partake in a four-course feast matched with participating brewers’ beers in the bistro. You'll even get to meet the brewers! Tickets for the Brewers Dinner have sold out this year (what we can say, we love beer? ), but keep an eye out for the 2018 event. Nowhere is this clearer than at Flight Bar & Bottle Shop. Situated somewhat surprisingly in Bendigo’s Centreway Arcade, this hole-in-the-wall haven of craft beer and fried chicken is run by two local bearded lads. 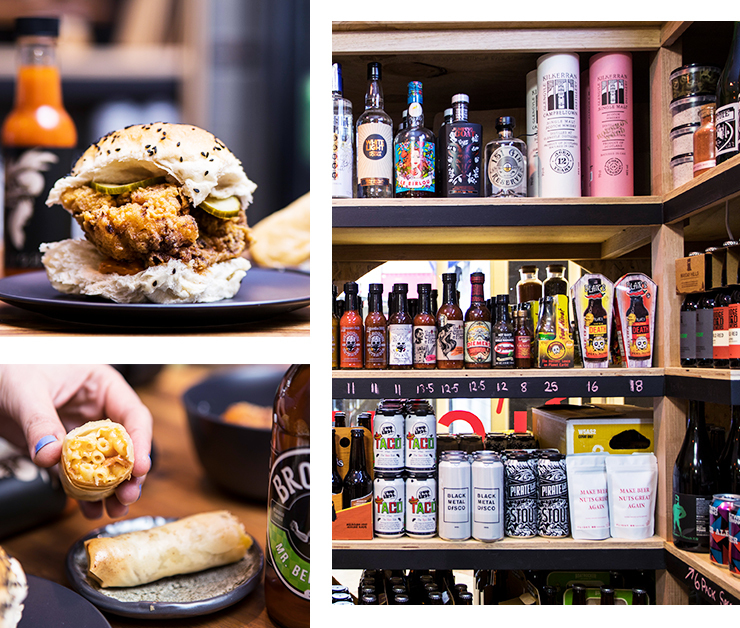 Described by both as a ‘collection of their biggest vices’, it’s a beer bottle-lined space that offers plenty of choice for even the most discerning of craft beer drinkers. All the fried chicken is made to order and perfectly soaks up multiple ales – think can't-quite-fit-your-mouth-around-them towers of crispy fried chicken, American cheese, pickles and mayo in soft white rolls, and $1 wings coated with the finest of crumb. As you might expect, you can select your desired heat when you order – there’s even a hellishly hot option that requires 24 hours notice. Flight Bar also serves novelty snacks such as bacon, mac ‘n’ cheese spring rolls, cajun-spiced chip sangas and house-made pork scratchings. The historic Goldmines Hotel dates back to 1857 and has served the neighbourhood for decades. A cavernous interior leads out to a rejuvenated courtyard and beer garden that’s an actual, legitimate garden complete with roaming chickens, citrus trees and a large pond. There are six taps of craft beer from Australian and international microbreweries plus a huge range of bottled brews. In fact, the Goldmines was the first pub to only pour craft beer in Bendigo, and it also stocks an impressive selection of Australian-Made, small-batch Gin. Its beer garden was voted in Australia’s top 10 and the courtyard hosts regular acoustic gigs. The menu is heavily influenced by American street food—from loaded fries to popcorn Chicken, deep-fried burritos to mammoth burgers, you’ll find something to sate your beer-induced hunger here. Although the Rifle Brigade Hotel in Bendigo’s CBD may bring some competition – their braised beef brisket burger is a mouthful to order, but a beauty to behold. The balcony is perfect through winter and summer, overlooking Bendigo CBD. Pubs have always been the centre of social and commercial life in Bendigo… and between 25 August – 3 December, the Post Office Gallery will celebrate this fact with the ‘Taverns to Temperance: pubs of Bendigo’ exhibition. Pop in to learn a bit more about the local drinking culture and a time when drinking beer was once seen as safer than drinking water. To cure what ails you, head to The Dispensary. This little charmer of a bar-meets-diner is hidden down Chancery Lane, where locals once got all their remedies and medications. 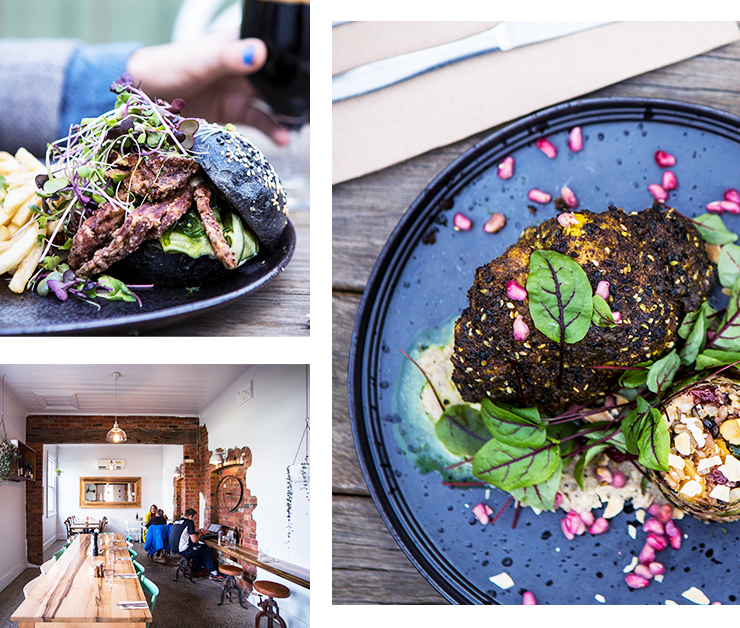 It’s a small, intimate space with a long communal table, an olive-coloured banquette and a spot of laneway seating outside. However, the best place to sit is at the bar or on a stool by the window so you can watch the laneway traffic go by. There are 110 craft beers on offer, 50 types of gin and 60 kinds of whisky. You’d better believe the bartenders know their stuff. The Dispensary is a focal point for the brewers during Bendigo On The Hop and boasts a drinks menu so fat it’s practically a textbook. 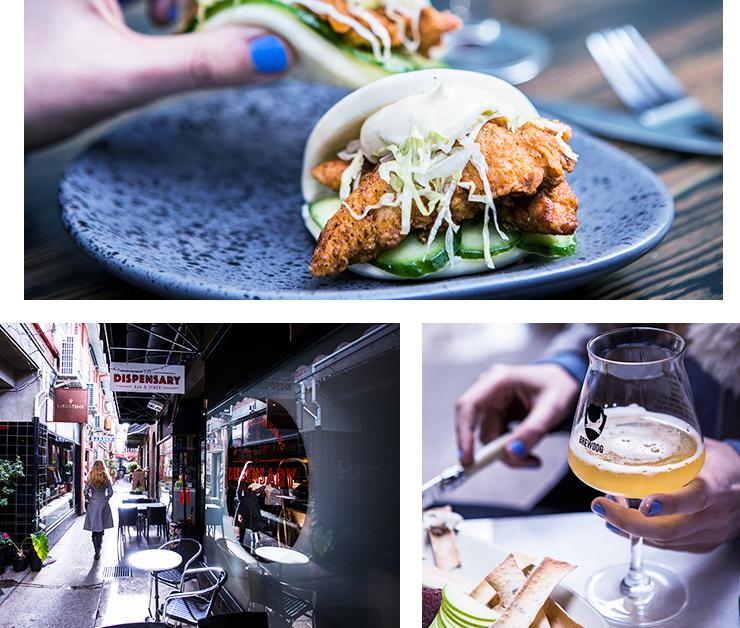 The food runs the gamut from breakfast to beer snacks – think Shakshouka eggs and a Bloody Mary for brunch, then pillowy-soft steamed buns stuffed with southern-fried chicken, lettuce, cucumber and a generous squeeze of kewpie mayo late at night. There’s also a winner of a cheese board and a must-try chocolate & espresso stout pudding that oozes its chocolate centre like lava. If you’re looking for another hidden gem, be sure to check out Handle Bar, a secret beer garden devoted to craft beer and music tucked away behind Get Naked Espresso. On your way in or out of Bendigo, you must make time to stop in at Tooborac Hotel & Brewery (one of six in the region). Built in 1857, it’s a proper old-school country pub with open fireplaces, a brewery housed in refurbished stables of the same era, and an outside picnic and entertainment area. The brewery produces six core beers plus small-batch special runs including a pitch-black chilli chocolate stout. Publican and brewer James Carlin says his favourite creation is the Gunslinger’s American Pale Ale, but you can pick up a sampler of all six beers for only $26. Carlin is heavily involved with Bendigo On The Hop and other craft beer festivals, and also stocks local wines and Faire Ferments co-op cider. Food-wise, there’s a double-decker chicken parma and a scotch fillet with lashings of garlic butter, but the real attraction here is the house-made pies. Available on the pub menu or to take away from the pie shop attached to the pub, these puff-pastry beauties come in flavours like beef & beer, lamb & shiraz and wild rabbit. They’re so flavoursome they don’t even need sauce – trust us! #8 Did We Mention The Fully-licenced Cafés? Bendigo is packed with cool places to eat and rebooted milk bars serving up next-level brunch dishes. At most of them, you can enjoy a craft beer or a fine wine as well. On the outskirts of the CBD, there’s the Spring Gully General Store, which has been converted from a stock standard grocery store into a sophisticated eatery with a dedicated barista bar and strong farm-to-table ethos. Their selection of craft beers changes seasonally and through the sunny courtyard out the back is a thriving herb and veggie garden. On the all-day brunch menu, the red velvet waffles are a standout, along with the show-stopping soft shell crab burger served on a charcoal brioche bun. If you're sick of FOMO, Bendigo have heaps of pop-up events happening at Bendigo On The Hop. Flight Bar will be serving smoked brisket and pulled pork at Gallery Café, for instance, and The Hub Pub in Sidney Myer Place is one of BOH’s dedicated pop-up venues. Pirate Life are pretty much the rockstars of the festival and they’ll be coming across from Adelaide, as well as roasting a pig on a spit at the Bendigo On The Hop After Party at Rocks On Rosalind. Also, it’s not quite a pop-up, but a heap of breweries will be presenting one-off releases at Bendigo On The Hop. Look out for the strawberries and cream nitro porter by Bridge Road Brewers, which has an extra creamy finish. Bill Barber, who won the Melbourne Blues Appreciation Society's best new artist award, will be performing at the Hub before flying to the US to compete in Nashville Tennessee. If you can't make it up for Bendigo On The Hop, watch out for not one, but TWO pop-up laneway parties during the Bendigo Blues and Roots Music Festival. True Brew is a brewery started in 2011 by two Bendigo brothers, Lachy and Cam. They sell their beers to pubs, bars and bottle shops, and have opened up their brewery to the public so that people can come and make their own. The hardest step in the process is choosing your favourite style of beer from True Brew’s list of over 200, but the staff have a wealth of knowledge on beer and are happy to help you narrow down your choice. The next step is gathering your very own fresh ingredients – like MasterChef, but with beer. 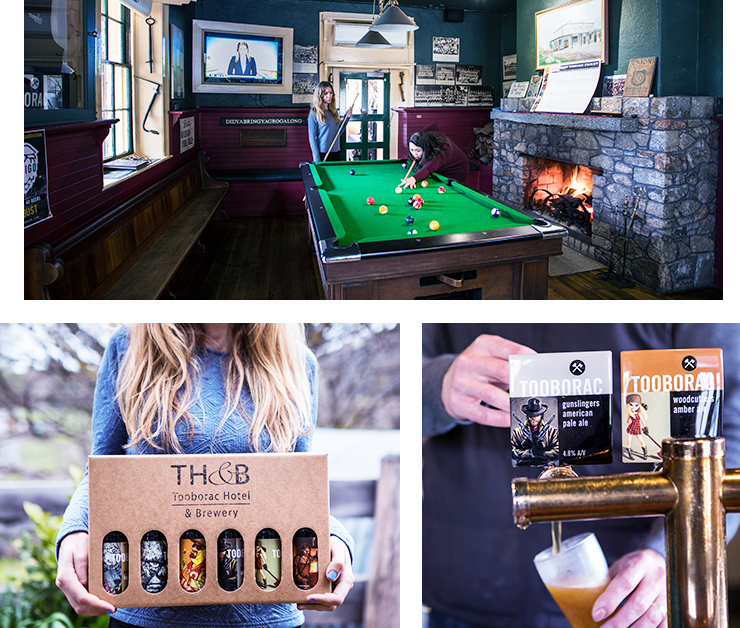 As brewing beer takes time, there’s a pool table and beer garden to help you wile away a few hours – plus Fox sports and a dart board. When your beer is perfectly fermented, you can transfer it into bottles, or even into a kegerator for those special occasions, and create some personalised labels. Slaking the country’s thirst for craft beer is big business, and Bendigo is certainly pulling its weight. Its craft beer and food scene is booming, and the focus on quality and experimentation will be on full display at Bendigo On The Hop. Book your tickets here – the craft beer brethren are waiting. 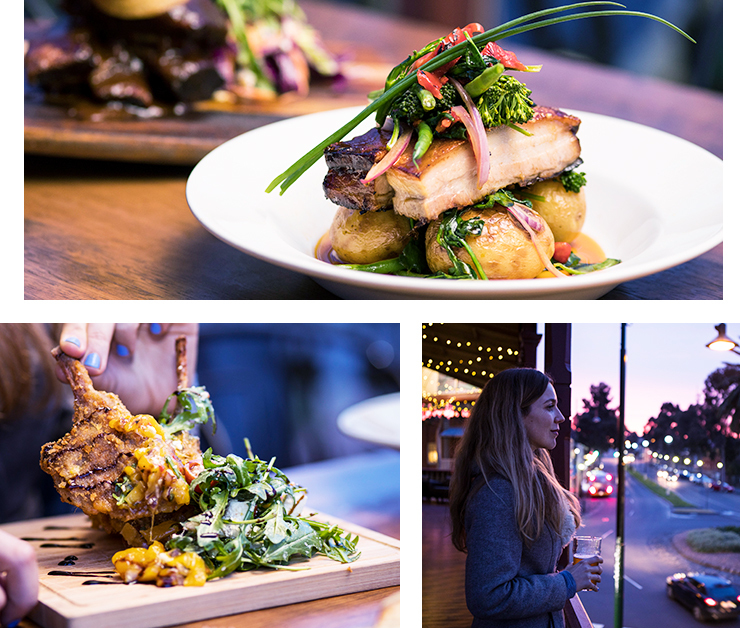 Editor's note: This article is proudly sponsored by Bendigo Tourism and endorsed by The Urban List. Thank you for supporting the sponsors who make The Urban List possible. Click here for more information on our editorial policy.